Microsoft has provided a closer look at the Project Scorpio developer kit. Team Xbox is hard at work preparing to launch Project Scorpio later this year, but just last month we started shipping a different kind of console – the Project Scorpio Xbox Developer Kit. We announced Project Scorpio early so we could get it into the hands of game creators and we can’t wait to see what kind of immersive, true 4K gaming experiences we see starting at E3. 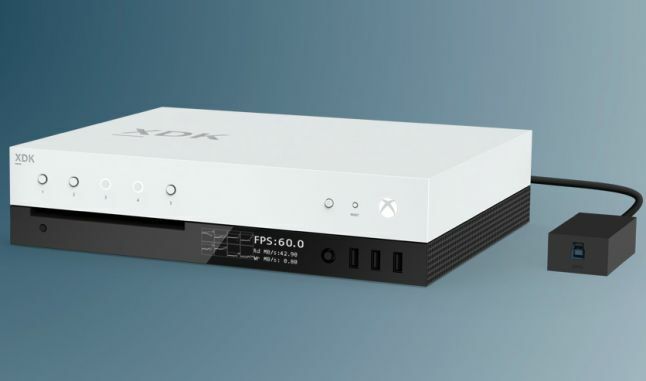 The Project Scorpio Xbox Developer Kit is a first-of-its-kind design, and I sat down with our own Kevin Gammill from the Xbox Engineering team to talk more about what the power and functionality of the kit, why developers are loving it and what it will mean for your games. Check out the video above. Microsoft’s Project Scorpio is expected to release during this year’s holiday season, and the enhanced Xbox console’s will be fully unveiled during Microsoft’s E3 press conference this year.